The LIFE multiannual work programme for 2014-2017 sets the framework for the next four years for the management of the new LIFE Programme 2014-2020. It contains an indicative budget, explains the selection methodology for projects and for operating grants and establishes outcome indicators for the two LIFE sub-programmes – for Environment and for Climate Action. 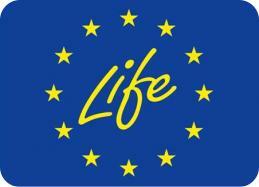 The LIFE programme is managed by the European Commission, with the National Authority in the Spanish State Ministry of Agriculture, Food and Environment, through the Directorate General of Services.